CCTV cameras and surveillance systems have an important role to play in any effective security strategy; but malls and shops should not rely on these alone to make sure that they are secure and safe from shoplifters. By not putting proper preventive security measures in place, shop could become a hotspot for thieves. Criminals looking to steal from shops look for businesses that have less security, to make it as easy as possible for them to take goods without being caught. 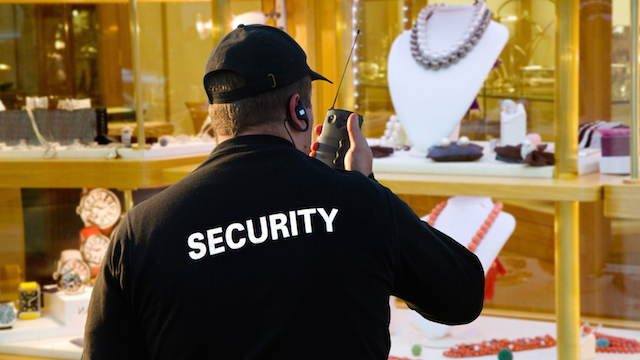 A professional security guard could make your shop less of a target. 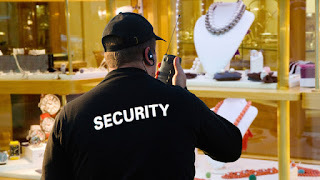 By having professional security experts working with your staff in your shop, you are ensuring that you have trained and experienced security personnel available immediately, should an incident occur. Good security guards are also well trained in customer service. Retail security guards should represent your brand well by interacting with and helping customers. Security guards will have extensive knowledge of protocols and any legal requirements of retail security, so that you can be sure if you do catch someone trying to steal from your shop, the law will be followed and business can carry on as normal with minimal disruption. Having security in all areas of your shop, including your stockroom, is also important, your stockroom is an extremely vulnerable area of your business, to loss and theft, and should be treated as such.